Jeunesse is a global skin care company that carries a number of anti aging and cleansing products for the skin, along with a number of nutritional products such as supplements and dietary aids. The company offers its customers direct shopping on the site and through a number of sales associates that distribute the products locally. However, there is no distributor directory or locator, or Jeunesse reviews on the company website. The company offers a number of products like masks, peels, overnight serums, and eye creams that are designed to reduce the appearance of fine lines and wrinkles. Jeunesse claims to use cutting-edge stem cell and DNA science in their product line with a focus on repairing damaged skin. Although customers can become distributors of Jeunesse, they are under no obligation to do so in order to purchase products from the website. Individuals can shop from convenient drop-down menus that are divided into three sections that include personal care, nutrition, and innovation. The innovation section is where customers can find the company’s newest products that have been influenced by skin care science and technology. Some of these products include stem cell cream, supplements that are designed to fight aging through cell repair and regeneration, and antioxidant blends created specifically to flush the skin cells of certain toxins. Each product is shown in detail with its price listed on each individual page, although Jeunesse reviews for products are not available. In addition, each product page has a usage, ingredient, and FAQ section that offers customers information about every Jeunesse item. This allows customers to shop with confidence in regards to specific allergies and medical conditions that the products may affect. None of the Jeunesse products have been approved by the FDA. The Jeunesse website offers its customers a way to become distributors of the company’s products. There are several drop-down menus on the site with sections that provide comprehensive information for anyone interested in becoming a distributor. Once individuals decide that they want to have a business relationship with the company, they can purchase a start-up kit, build rewards, gain commissions through finding new customers, and build their own sales teams. A free download is available on the Jeunesse website for those who want to read the complete details about the distribution program. There is also a member’s calendar available on the site that reminds distributors about upcoming events. While Jeunesse does not make any guarantees about the profits distributors will make, the site does assert that those potential profits are unlimited. Of course, in reality, those profits are limited by an individual’s ability to sell. Jeunesse offers its retail customers a 30-day money back guarantee when they order directly from the website. The same guarantee applies to distributors who want to return products that they purchased for their own personal use. Returns from distributors that are from an end user can also be returned for a refund, but must be made within ten days. All refunds that are offered by Jeunesse do not include any shipping charges that were initially incurred by the buyer, and any retail customer or distributor must have a return authorization number. A consumer return form and the original receipt must also be included. Distributors that return any items, whether or not they were for personal use, must track the returned package, as Jeunesse is not responsible for any returned products that do not reach the company within the allotted time. Shipping costs for those ordering directly from the Jeunesse website are calculated at the time of checkout. Creme de la Mere? Yes it is overpriced compared to similar products. Have you seen the price of Gucci handbags lately? There are people in our society who insist on a high price tag for luxury items otherwise they won’t buy them. This behaviour stems from a human condition that has no known cure! I have just launched the World’s most expensive Serum. When advertised in airline magazines it will rake in many thousands of pounds. The ingredients cost less than £10.00 including the packaging. I am simply satisfying a demand from brainless people. 1. ….derived from which kind of stem cells? Porc, salmon,….plants????? 2. …sending signals to my skin means the Luminesce Cellular Rejuvenation Serum is manipulating the CELL INFORMATION in putting it in repair mode? 3. …and, all this not appoved by the FDA? Hi Evie, You need to at least leave your face 15 to 20% moist with water before apply the ageless onto the problem area eg. eye bags. You can also use ageless on your t-zone area before apply make up so it helps to shrink your pores and leave your face less oily. If you find it too dry after apply the ageless, please feel free to add water by using your fingers or spray some water onto your face and it will certainly make it less dry. Hope this helps! Best. I love to use JS products. I love the Jeunesse products! All my family uses it and we never seen something like this before. After putting Jeunesse to my mom’s face, what will the effect if I put makeup on top of it??? I have been a Distributor with Jeunesse for the past 2 years & come from a nursing & cosmeceutical background. I have never in over 30 years seen anything so amazing as Jeunesse! Unfortunately there are distributors out there who are only in for a quick profit but please know that Beauty Consultants who work for the big giants, all charge similar prices than those of Jeunesse and there is NO scientifically proven ingredients in their creams! Jeunesse HAS scientifically proven ingredients and it is STEM CELL TECHNOLOGY that provides the Growth Factors (not Growth Hormone as I’ve heard some people incorrectly quoting!!!) that communicate with our cell/skin makeup to increase cell turnover (renewal) & so improve our skin quality, elasticity & strength. Hmm I thought this was a real review site but I see it is only a pre-ad for Advanced Dermatology made to look like a separate and authoritative organization. So it really is no wonder Jeunesse has such horrible reviews here. I just started with the like and of course went straight to the Instantly Ageless so that is all I am able to review yet as I will be giving the basic skin care an honest try before reviewing. IA is amazing! If you use properly and not to much which is what it sounds like many of you did, it works wonders… absolute wonders! It took me a good 5 times applying to be able to do it properly but it was worth the effort and since there is so much more than two applications per packet I am able to wash it off and start over when I screw up. I think if you have sensitive skin you may want to skip it but I would be sad and would rather toughen up and attempt to let my skin get used to it because the results are soooo worth it! Hi Josie,i have just come this site and reading as a matter of interest. I am actually a distributor and i am not a dr or skin professional. I appologies if anyone told you it can cure anything, as this is not correct. In the reserve it has an ingredient called resveratrol in, its a powerful anti oxidant. It helps with inflimation and it will help heal cancer cells or damaged cells naturally. There are a number of great testimonials how these products have changed peoples lives, Including mine and my family. I am sorry you had a bad experience, but i dont believe that was the product or the company, but more the person sharing the products and information with you. ? I bought my second Luminesce Serum and im loving the results. My skin its more bright and the apperance of my acnes are going away! I also taking Reserve and feeling really great about it! I think people dont understand that serum does not replace moisturing. Its different things . Sorry about my english! well, instantly ageless is made to stay for 6 to 8 hours on your skin AND NOT MORE. and they dont lie to you about it, it is written and they tell you it s stays between 6 to 8 hours. If you want a long lasting result use the cleanser and the Serum . Well Dea. Now we know that you are a liar. I Use all of jeunesse products, Im not even a distributor and My skin is just getting better and younger . so dont come and say bad thing about the company if you did not even try the product . Burns Right ?? HAHAHAHAHA Shame to see so much hate when a company is trying to help people be positive, be a part of jeunesse, and be successful. Wow Josie, too bad your research was done half asked! You won’t find any product with adult derived stem cells in them for a very good reason. What is in the Luminesce Cellular Rejuvenation Serum is a bi-product (derived from) stem cells, called “growth factors” . 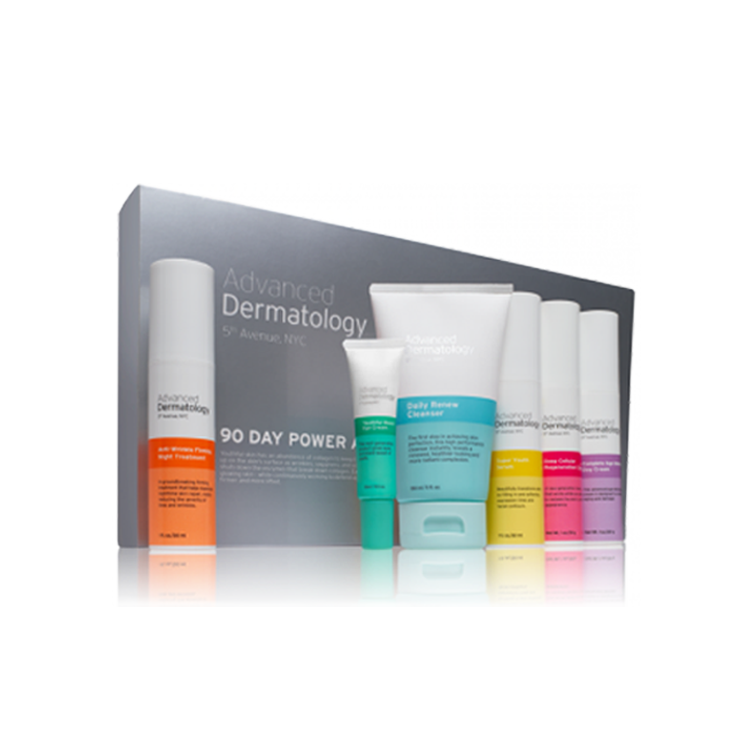 Growth factors are signalling molecules (communicating agents to your skin) which send signals/messages to your skin and “coaxes” your skin into repair mode. The product was originally conceived to help repair burns and scars.. It works! Am I a distributor? Absolutely! What Jeunesse offers in terms of skin care is the most advanced your going to find on the market. Considering what you are getting, the price is quite reasonable, your best price will be that of a distributor /wholesale customer and signing up is cheap, when you consider the savings! I am a proud distributor of this exclusive line of products and I am passionate about helping others get results! I have a background as a cosmetician and have been a consumer of skin care products for over 30 years. You need to know how to introduce a skin care line to your skin, and give the product at least 3 months before your opinion has any value! I will never consider another skin care line and guess what, this post won’t include my contact info…so no, I’m not here to make any money. I’m here to give an honest review. If the product went ‘dry and powdery’, then you used way too much! You should rub the product between two fingers gently first (ideally your ring fingers), then dab dab dab and fan it dry for best effect, like the demonstrations show:) It’s amazingly successful when used properly – it can take a few goes to get it right but NEVER use so much that it becomes powdery. And ensure you buy the real thing from a Distributor. There are cheap copies out there unfortunately. It took me a several tries to get it right for my skin. That white powdery substance just means you used to much product. Some people get a better result if they moisturize before applying. It definitely is not a con. Josie, you are 100% correct – not all of us are skin specialists – and anyone telling you that the product will cure cancer or anything else is incorrect. However, the technology in the product is groundbreaking (not to mention award winning), if this product were to be sold like all othe cosmeceutical via the relevant distribution chains, Jeunesse would be charging far more than they are. As to the multi level marketing – yes it is – but then so is most other companies that you shop at every day. This is a direct marketing company where the distributors mearly refer people to a fantastic product and give them a platform to use ground breaking products at an affordable price, and earn some commission in the process. I am not a middle man – I simply put people in touch with the manufacturers and for that I get a commission. The product has worked wonders for me and my partner, as well as many of my friends. No wonder Jeunesse is the fastest growing direct marketing company to reach $1 BILLION in sales – they must be doing something right. Chelsea I totally agree with you. I was told it cures arthritis and cancer. Didn’t buy that claim one bit. Shame on them. Not all Jeunesse representatives are skin care professionals. They are ordinary people selling overpriced products. Think about it, too many middle man. It’s a Multi Level Marketing Company. I’m very disappointed by their service. They just charge me with every excuse they can find. When they pay commission, they pay me CAD$47.50 when I know I earned a US$50.00. When I called in to just change a payment, they suggested me to refuse the package because they didn’t want to do the switch. But when I did return, they charge me 10% plus shipment! I’m definitely going to cancel my membership!! I have been using the Jeunesse products for a couple of months now. The supplements and skincare line. The serum based on stemcell technology (it is a very intelligent serum that has growthfactors in it that communicate with your cells, collagen, etc) I absolutely love the results. My pigmentation has almost disappeared and my face has a nice glow and wrinkles are smoothen out. I also love the masque. Makes your skin very soft. Reserve and Finiti give me extra energy and I believe due to the anti inflammatory ingredients my frozen shoulder is now finally recovering. My pain has gone from 10 to a 2 in 3 months. So i am a huge fan of Jeunesse! I look and feel great! 🙂 And I am purchasing it with whole sale discount! I’m very disappointed and scared of this company. My neighbor made a demonstration on me and encouraged me to become a member right away. They even assisted me to complete the form on line, but before I concluded the order, I changed my mind. I’m glad I had a second thought about it because the next day I woke up with one side of my face swollen and most of my face burned. My face feels awful like sand paper. What a disappointment! Next time I will do some research before putting anything on my face or body again. Then your sponsor lied, you dont have to buy every month to get the reduced prices, but if you want to be a distributor then you have to buy for 60cv a month to keep your points and for money coming in. You buy when you want to if you only want to be a customer.. With reduced prices. For myself i use the entire luminesce skinserie and my skin is so much better! No pimples and my rosacea is gone i use the serum on wounds aswell and they heal quickly. I think people judge too fast without the right facts..
Jeunesse a is multi-level marketing marketing business but I would disagree to say that the sellers have no knowledge of skincare. That’s an inaccurate assumption. I’ve met two Jeunesse distributors by chance in my local area and they both happen to be cosmetologists. I started using Jeunesse about 3 months ago. I have acne and i have noticed that the serum has drastically reduced it. 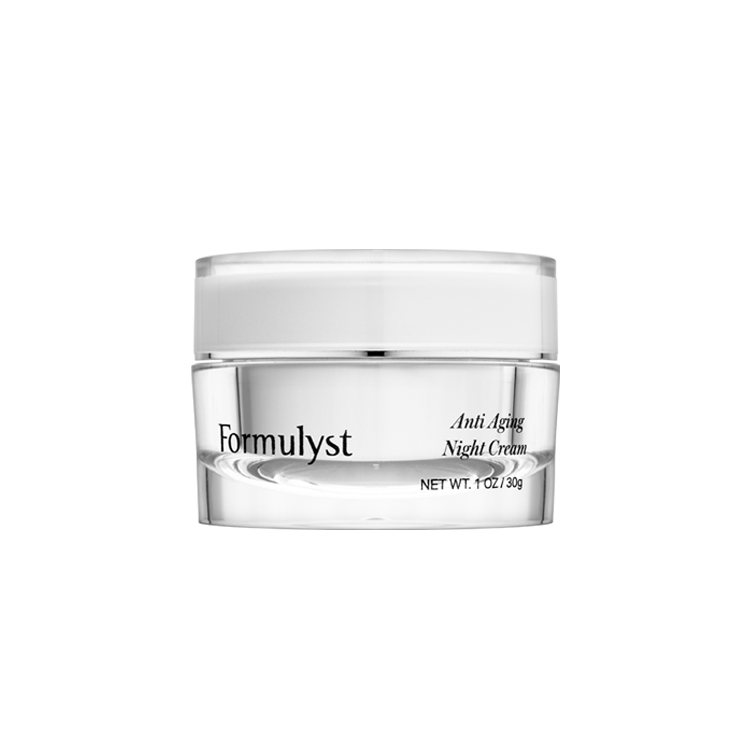 I only use it at night because during the day, under my makeup, my skin dries a bit (which is helping clear my skin) and makes my makeup appear uneven. You must be part of those desperate people who rely on selling these products unethically to make a living. You can possibly say that it is a detox when someone breaks out from it. But when it is a burning sensation, it is not from detox. I got lured in to join by a mutual friend. I became a “distributer” for this company and was required to buy my first products. I used the Reserve drink for 2 weeks. For some reason, my stomach would hurt on certain days, right after consuming it. I believe there to be some type of weird chemical reaction with my stomach with other foods in my stomach. I couldn’t find anything online about it, so I’m not too sure, but on certain days, immediately after drinking one Reserve sachet, I get stomach cramps for the whole day, and slight heart burn for a few seconds. Oh, and the person who got me to join also told me that you could also use it on mosquito bites topically. Don’t do that, your skin will get REALLY red and swollen. I also tried their popular Instantly Ageless product, and I’ll tell you, it works. TEMPORARILY, which is completely useless. Your eye bags disappear for a few hours, and comes back. Stupid product. I only felt a minty, tingly sensation when putting it on, but when my mom tried it, her skin became really red and she was complaining about pain. No, distributors have no knowledge of the products. They make bogus claims in a bid to outdo other distributors. The company basically use the distributors for advertising and make millions through memberships. I was asked to join as a customer, for a fee of course, and I could order products at distributor price. What they failed to mention was that in order to get discount I had to keep ordering every month or I will no longer be a member. I refused to join as I wasn’t happy with the products. My face appeared more red and less hydrated. As a result I used more makeup. Sounds like your mum is a distributor. You can get the same result using any supermarket moisturiser. None of the jeunesse products are FDA approved as they fall under cosmetic. That is just masking the problem not fixing. Tell your mum to same her $$$ as there are plenty good products at a fraction of the price. The reason they are so expensive is because there are many “middle men” expecting a cut. I totally agree with you. Any good review is by the distributor. They claim product has stem cells but the Dr behind the product says it contains no actual stemm cell, just the same language of a stem cell. I call that deception. It’s a multi level marketing company and is more focused on getting people to “pay to join” rather sale of a good product. Also the founder of the company, Randy, has been fought out with bogus products in the past such as the fuel saving tablet for cars. I say wipe that smug off his face by not buying his crap. I did not like the products at all.. Didnt do anything for me.. Waste of money..! I have tried this for 5 days and the whole time and into the following week my face and neck had a burning sensation, even after I stopped using it. Advised my distributor that I had very sensitive skin and she said that she did also and there should be no problems. Despite a couple of attempts to obtain a refund, she has not contacted me, so now I am out of the refund time period. Would advise people to research before buying and using this as it is just a multi level marketing business. Seller has no knowledge or training in skin care – they’re just out to make money! Are any of these products tested for radiation and heavy metals and pesticides and if so , how. What are the results? Do any of the products contain palm oil or petrochemicals?